Large-scale parts and machines are not always the easiest, or cheapest, objects to bring to a trade show or conference. But 2D photographs just don’t offer the same kind of experience as actually seeing the object for yourself, so sometimes the next best option is a scale or appearance model, which can offer support at trade shows, as well as provide design verification and allow for simulation tests. 3D Systems, and its On Demand Manufacturing service, has experience creating scale models and appearance models for companies, and recently worked with Netherlands-based Seatools to create seven distinct 3D printed appearance models of its multiple custom underwater technologies for an important conference. Seatools designs, builds, and tests custom equipment to solve subsea challenges for its global customers, which include companies in the offshore oil and gas, aquaculture development, and offshore renewables industries. This spring, the company attended the world’s largest oil and gas industry event, the Offshore Technology Conference (OTC) in Houston, and needed a way to quickly and effectively showcase its custom offerings in a creative display so it could attract attention and new business. The company determined that it would need high-quality, detailed models that could be manufactured quickly, would reflect the company’s high standards, and be durable enough to survive a trip across the ocean. So Seatools turned to 3D Systems’s On Demand Manufacturing services, which offers support across the entire product development lifecycle with services like fast 3D printed parts, low volume manufacturing, and advanced prototyping. Seatools identified seven different models that would best showcase its custom underwater technologies in a unique subsea landscape, and determined that 3D printing technology would be more efficient and less expensive than conventionally manufactured scale models. “It was very important to me that the models arrive in Houston in one piece. We are a company that sells high-end equipment with high quality, so if we were to show broken models on the show floor, it would not be in line with the quality we sell to our customers,” explained Johan Sol, a member of Seatools’ supervisory board and marketing and business development office. Seatools decided on SLS 3D printing technology, which offers advantages such as visual appeal and durability, and is used often for functional applications, like living hinges, which was useful for this particular project. After speaking with 3D Systems’ On Demand Manufacturing experts, the company decided to go with strong nylon 3D prints, made with 3D Systems’ DuraForm PA material and produced on its sPro 230 SLS system. Seatools relied on 3D Systems throughout the entire process, from CAD file optimization and 3D printing to painting and assembly, so it was able to focus on getting ready for the trade show. Not only did the 3D printed, diversified scale equipment models survive the trip, they accurately represented Seatools’ full-sized machinery. The company was able to include more high-quality details in the 3D printed models than it could have with conventional manufacturing techniques, thanks to the material properties of SLS 3D printing and its ability to create strong but thin walls. 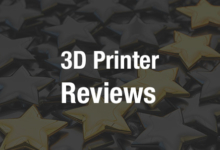 According to 3D Systems, the 3D printed appearance models “played an instrumental role” in Seatools’ display – they definitely showcased the same level of care and quality that the company offers its customers, and helped show off its diverse offerings as well. Sol says companies only have a few seconds to catch the attention of trade show attendees, and the 3D printed models paired with the subsea landscape attracted crowds to Seatools’ OTC booth, and also allowed the company’s sales team to make its pitch more interactive.